The Niagara Heritage Partnership is a group of concerned citizens who advocate the preservation and restoration of the region's natural environment and encourage socially responsible development. 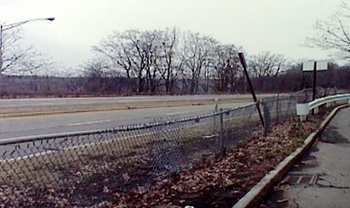 Currently, the Partnership is advocating the removal of the 6.5-mile section of the Robert Moses Parkway which runs along the Niagara Gorge from Niagara Falls, New York to Lewiston, New York, and restoring the natural environment (indigenous trees, grasslands, wildflowers) and creating a hiking and biking path. 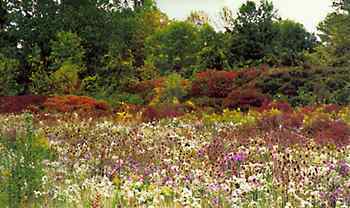 Buffalo Institute of Urban Ecology, Inc. Injured Workers of New York, Inc.
Niagara Frontier Botanical Society, Inc. Even Gaming Magazinea house organ of the gambling industry, which we would not expect to be aware of city planning issuessaid in its article about revitalizing Niagara Falls that the Robert Moses Parkway is "widely held as a mistake in planning," whose result is "simply directing people through the city and into Canada." "Urban freeway removal refers to the dismantling of all or a piece of an urban freeway and replacing it with a boulevard or park space. Urban freeways that tend to get slated for dismantling include those that bisect a city, create a barrier between neighborhoods, and/or cut off access to key urban assets such as waterfronts, parks, and stadiums." Five Gorge Parkway Removal Opponents and Their Silly "Opinions"
NHP 2007 Proposal to Greenway Commission re: Lewiston's "Scenic Trail"
(For more information visit www.for-wild.org). Golf Course at Wilson Tuscarora State Park? Orion Grassroots Network - Orion supports the efforts of organizations working every day to heal the fractured relationships between people, their communities, and the land.